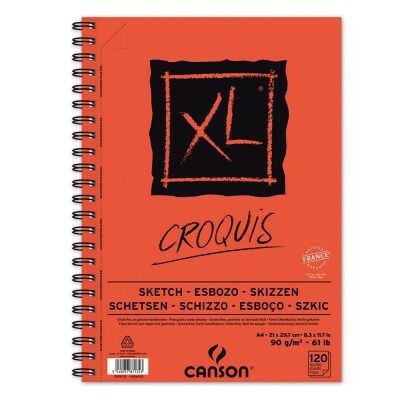 Popular, economically priced sketch pads. The 90g/m2 paper feels much thicker than normal paper of that weight. These popular, economically priced sketch pads contain more sheets at a comparable or better price than other value pads in the marketplace. The medium-textured, 90gsm white paper is great for sketching in graphite, charcoal, colored pencil and pen, and the surface is smudge-resistant and erases cleanly. Great for both studio and field use! 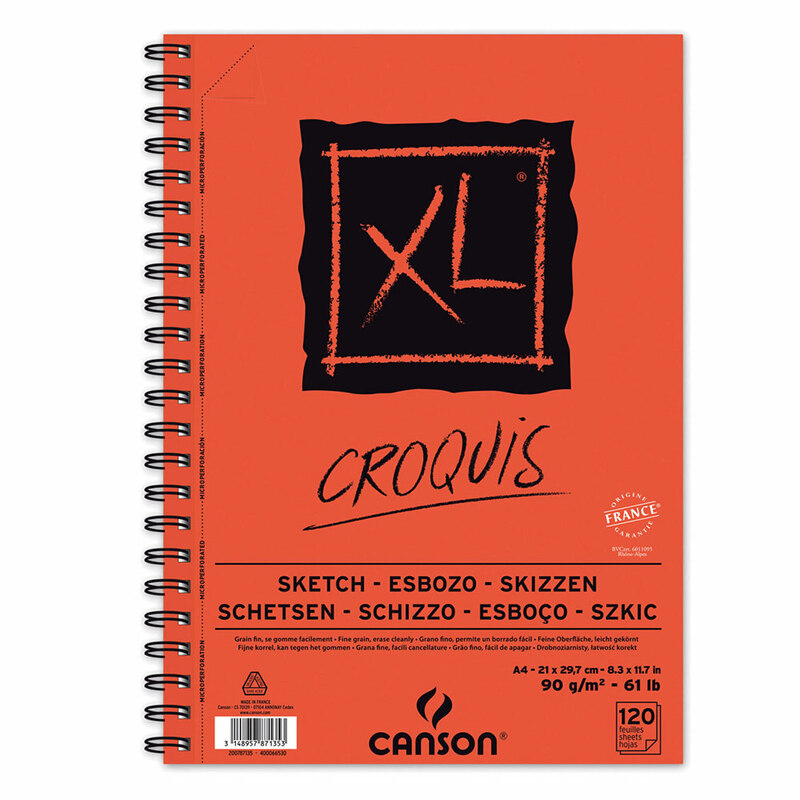 Canson XL sketch pads feature micro perforated true size sheets.